Lots going on and at the same time there has been a wave of serenity upon us. The "space" we are in brings back the old traveling days through Joshua, California "Lost Coast", camping in the National Forest of the Grand Canyon’s south rim as also last year’s quiet grounds north of St George, Utah. I am sure I am forgetting some other favorites. There is no doubt anymore in my mind that our surroundings has all to do with the sanctuary of our inner mind, no doubt! 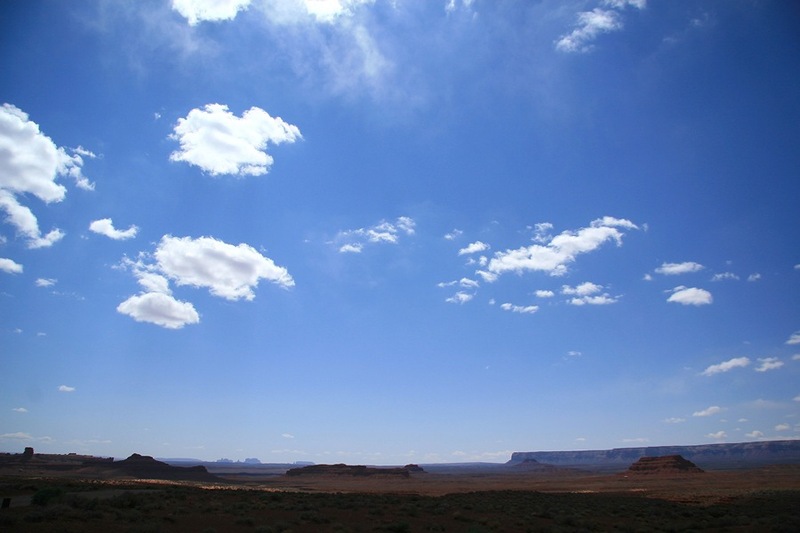 We are about 5 miles west of Bluff, a little town bordering Navajo Land, in a BLM campground with sites far from each other and quiet. The weather is now clear but still cold and the winds are not dying. Sometimes while riding, its strength makes me drop the rig in third gear and still cannot get it going over 50mph!… and sometimes the wind pushing us gives Old Faithful that added boost and smoothness that is so nice and enjoyable riding these deserted roads. 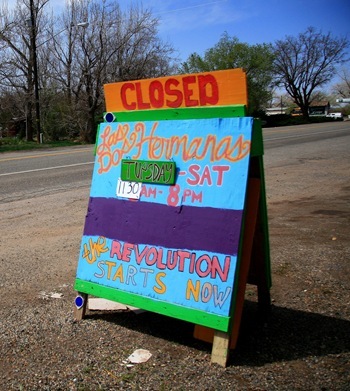 This is not Moab, this is small town, this is Halfway, Oregon… this is Terlingua, Texas! 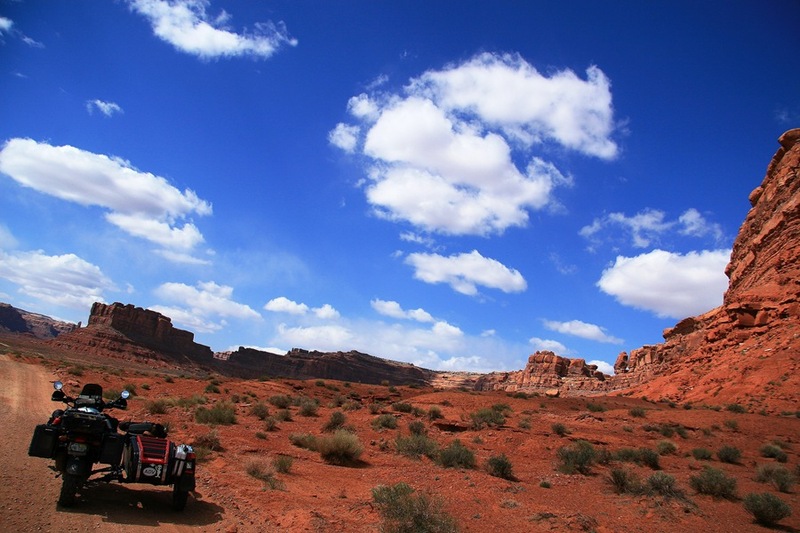 We came through Bluff a month ago on our way up to Moab, my mind was on those four letters, we passed through, we looked but we did not… see. 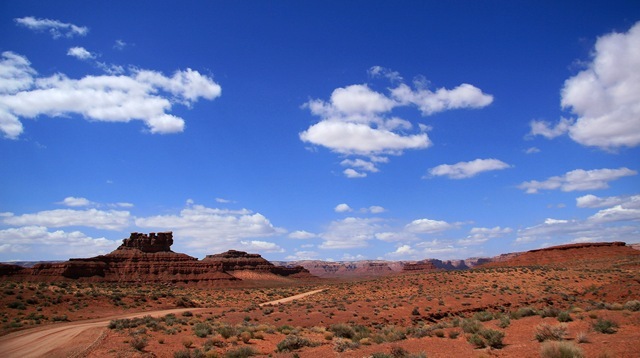 A stone throw from Valley of the Gods, Monument Valley and so many other sights, I knew that eventually we would head back south but Bluff was never on my mind. And to tell you the truth, even before setting up camp and getting my bearings straight, this is where we stopped! I am drawn to such as I call them "holes in the wall"! 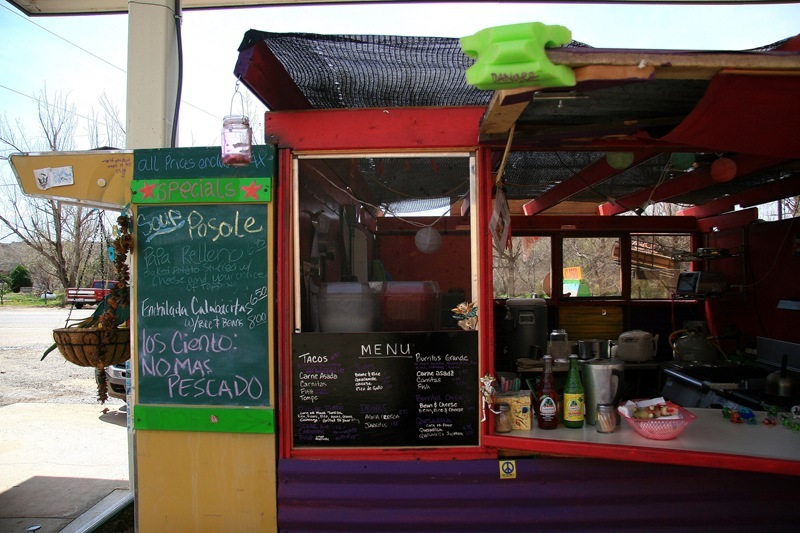 This is Leah’s little Mexican food stand… you remember Kathy’s in Terlingua?… this is her counterpart!!! Two sisters worked together for a while, reason for the name "Las Dos Hermanas", it is now only Leah and as much as I don’t eat out, I am already guilty of eating at her place twice! My kind of food… fresh, tasty and inexpensive. This will not be the end of it… there is a fire ring on the other side… tables and benches are everywhere… there will be more about it with more pictures!… including my new friend Leah. So when was the last time your buddy sat his paws on four States at the same time? We took a little detour just for this one shot, braving the strong winds, ice cold down to the bones, that is what you don’t see in this picture! He is quite a "sport", it was run in and run out as we were the only souls around, even the little shops where closed. Valley of the Gods has been my most worthwhile discovery since we have been here, and we only have been here a couple nights! 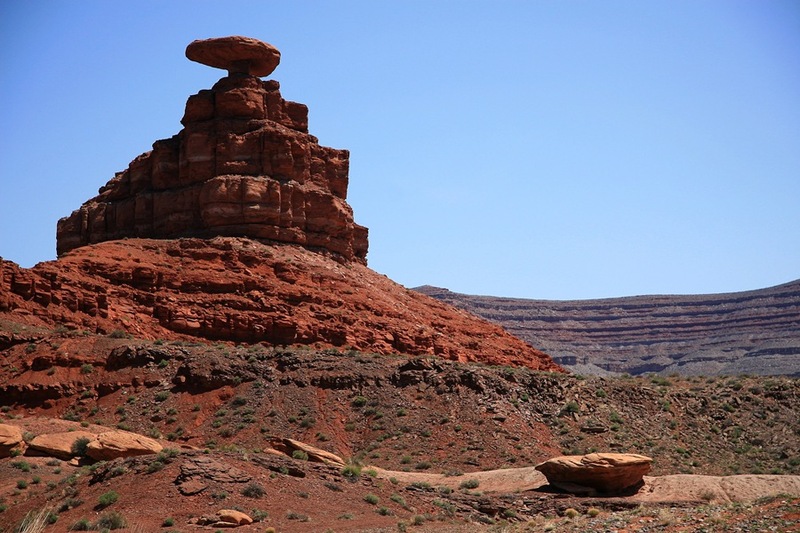 The little town of Mexican Hat was just a few miles down the road and we found out that this rock formation is the reason for its name. Not much into the town at all, besides an over priced Steak House with an average unseasoned steak for $30 as you have to dine outside regardless of the weather. Maybe considering its location it is a bargain but I will stick to my little new found Mexican stand any day! in case you are wondering, I did not try it but chit chatted with others that have. 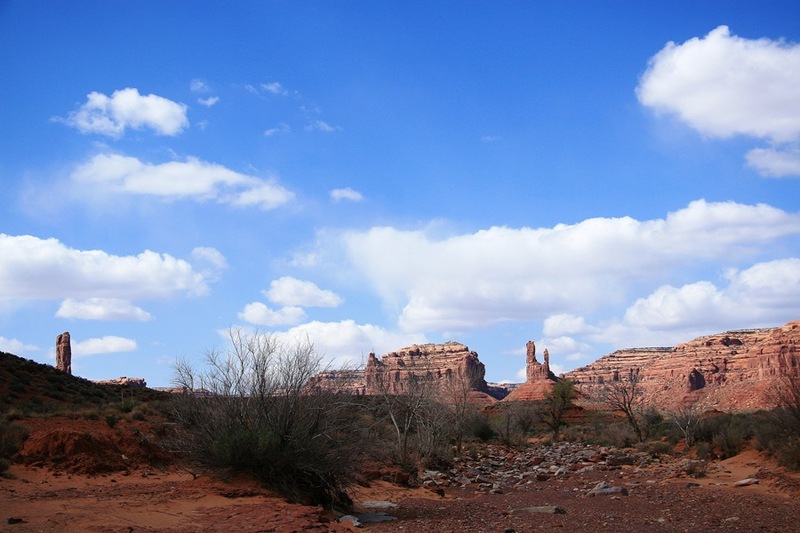 But forget all that… Valley of the Gods is what’s on my mind! This is the start of it, a 17 mile loop, a graded gravel and clay surface road, maybe just a bit rough only in a couple spots for grand ma’s Buick, a few sharp turns and several washes. Good riding in dry conditions, not really suitable when wet. 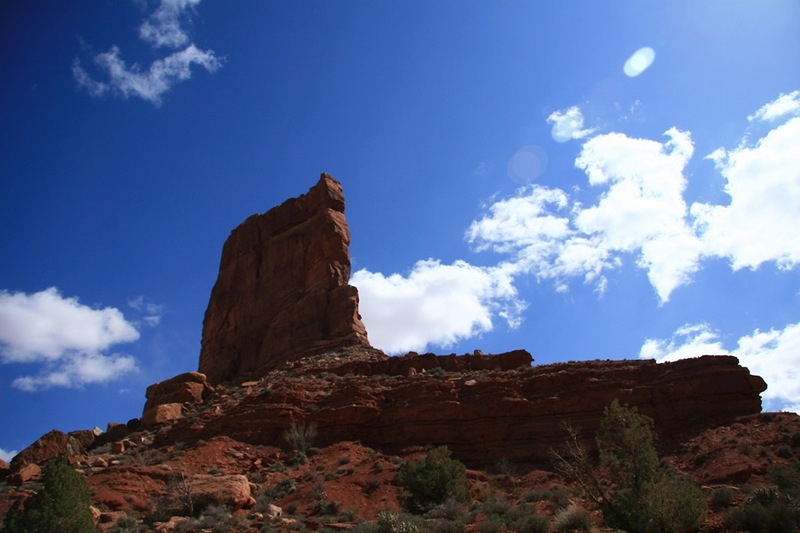 The picture above shows the "Seven Sailors", beautiful Cedar Mesa sandstone monoliths, pinnacles and other geological features of this enchanted and magical area. Even more magical as I found out camping at no cost is allowed! 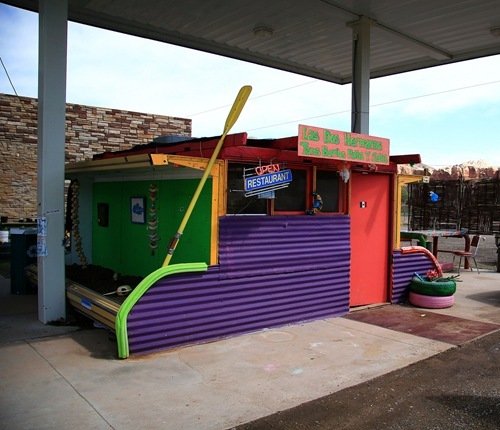 You guessed it… this will be our next destination a few miles down the road. With the cold weather around we have not been able to ride much at sunrises and sunsets, this time time we will be "there". 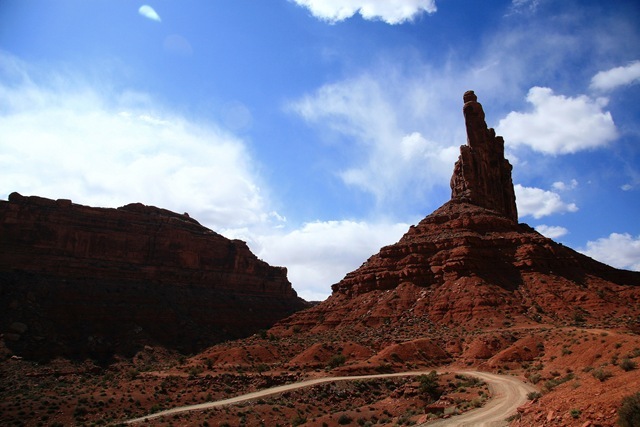 This above is "Setting Hen Butte"… The ride truly moved me, as much as when we rode Potash Rd below Dead Horse Point a while back. This is so reachable, so touchable with also other dirt roads to get closer to those majestic Monuments, those work of Art. My mind is already there… we are there! Hopefully Tuesday… How strange that just a few years ago I would have ridden through it, fast most likely, taken a couple pictures and gone on… I now want to live on that land and experience its presence as never before. Some one said that we might find something… I know we will. That spot right there looks good!… it felt good. 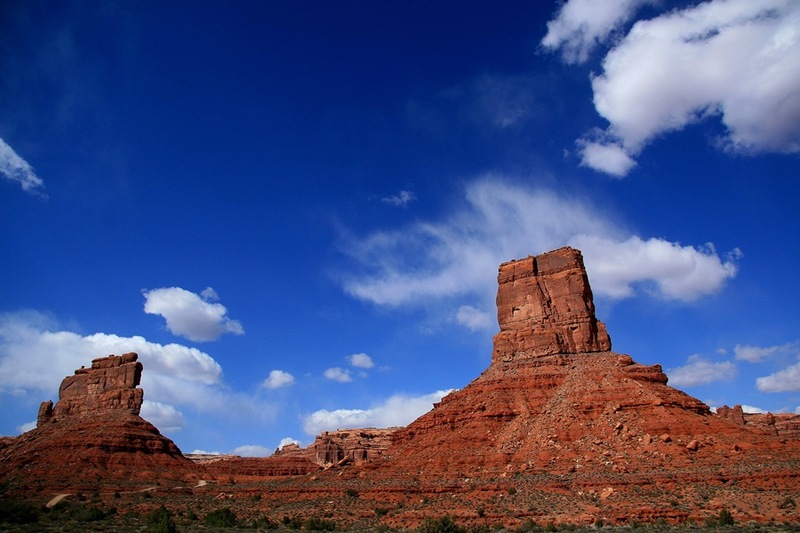 The legend is that those rock formations are places of power where the spirits reside and those in Valley of the Gods are some of the most distinctive. 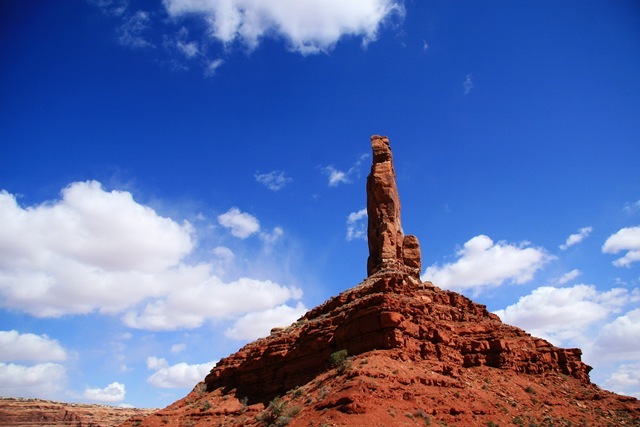 These imposing monoliths are Navajo Warriors frozen in Stone who can be appealed to for protection. They are guardians whose power and strength aid young serviceman going to war. Not far from the Valley of the Gods lies a series of rock formation important in Navajo beliefs. Lime Ridge, to the north, has a trapezoidal block of sandstone that looks like a hogan (traditional Navajo dwelling). In it are trapped children who were disobedient to "The Sun Bearer" and are so being punished. The story tells how the Gods warned them not to steal animals and to be respectful of people’s property but they repeatedly failed to follow his wishes. "The Sun Bearer" placed them in the hogan for four days, trying to bring them to repentance, but when this failed, the hogan turned to solid rock. When a person is near the site, they can hear them crying. (from "Sacred Land, Sacred View", Robert S. Mc Pherson, Charles Redd Center for Western Studies, Brighman Young University~1992). I did not find the hogan that day but will when we return to camp. There is a Bed and Breakfast at the entrance of Valley of the Gods, or exit depending which way one goes. Has to be one of the most beautiful location in the world. We will also stop there and visit, specially curious as they are totally off the grid with solar power, running a generator when needed with bio-diesel made from grease picked up at the couple restaurants in Bluff and Mexican Hat, the water is hauled also from Mexican Hat, I was told very interesting couple owning it. 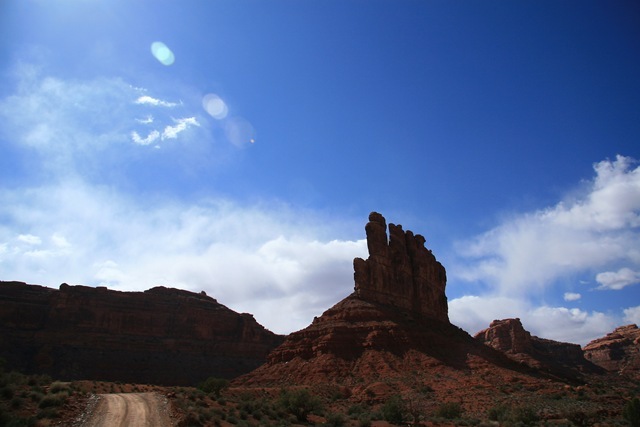 This is "Rooster Butte" from different angles and below is "Castle Butte" also pictures taken while hiking around a bit. This area would be a nice stopover before heading to Moab, there is a transformation that takes place here, seems like Life has again slowed down and one as myself can get into the deeper part of Life itself, there is nothing but vast empty spaces, there is undisturbed Peace inducing an incredible detachment from what one has been programmed to live through as nothing besides the monuments seemed to have changed throughout those millions of years of existence. 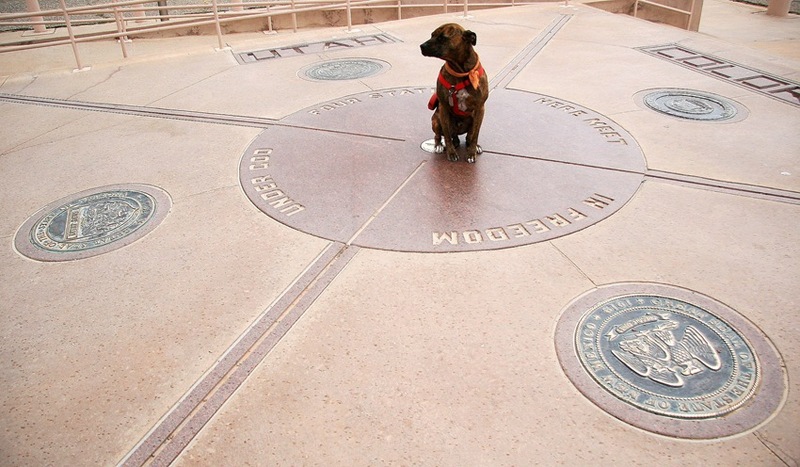 This entry was posted on Saturday, April 12th, 2008 at 9:14 am	and is filed under travel, spirituality, pit bull, sidecar, motorcycle, cooking, photography, riding, homeless. You can follow any responses to this entry through the RSS 2.0 feed. You can leave a response, or trackback from your own site. Ahh, yes, so healing, those mountains. The quiet, the solitude. Thanks for sharing it so that I could remember it. Ara, my most favorite traveling friend. You have stumbled upon one of my favorite places to travel. Make sure you find time to “Be” in the places you will soon discover. This is the payoff, the jackpot, for all those days you and Spirit have spent seeking more from life than most. Prepare to have all of your senses dazzled. Your photographs have been great. You can put me down as one vote for more arches. How about some macro shots of the desert flowers. Ps: Before you leave the area don’t forget Muley Twist, first left when you get to the top of Moki Dugway. Go all the way to the very end. Early morning or late evening light is better. Plan on about (2) hours to properly explore. I love the pics. Quick question. I visited Skyline Drive the other day….rode through and enjoyed a lot that it had to offer. One thing that I noticed was in different areas people had left little bits of trash. Do you ever see that out here? It would be a shame if you did…. You and Spirit have to be in one of the most beautiful places on this earth. Your pictures take my breath away and sometimes your words make my heart ache. Hugs to you Ara, and a pat and scratch on the head for Spirit. Stay safe always. I found this lovely old post through a google search! 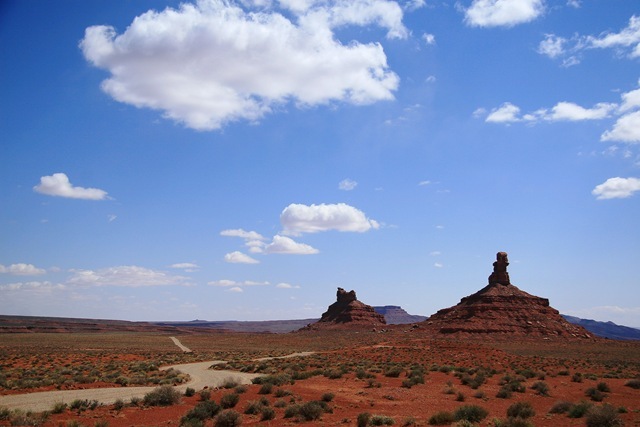 …about… Valley of the Gods! I very much look forward to coming down to check out the area… I’m now thinking of perhaps leaving Tuesday the 28th to try to get down there late that evening… And then spend perhaps Thursday heading north via rural routes via Elephant Hill which could be an all day affair to try to make it to Moab that evening or perhaps camping somewhere along the way… This would be the fun route and I anticipate parts to be “rough” but only some of them. I thought I would let you know. I am very excited, and wonderful photos and description of the area!